The Festival of Wonder is "A Most Amazing Entertainment Experience"
(Branson, Mo. 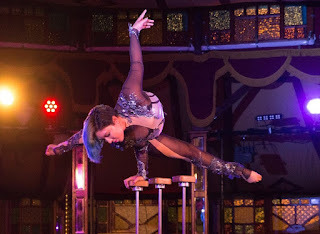 3/21/19) - World leaders in live performance, acrobatics and unconventional music will perform daily on the stages of Silver Dollar City (SDC) during The Festival of Wonder, April 10-28. Billed as “A Most Amazing Entertainment Experience,” the festival features performances that are as unexpected as they are entertaining, with elements like pyro theatrics and aerial acrobatics. 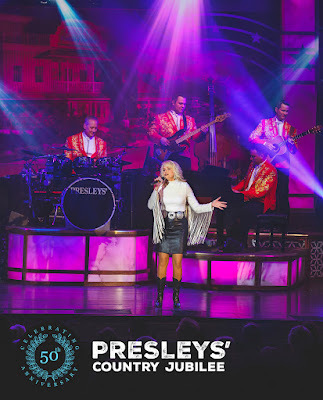 (Branson, MO 2/26/2019) The Showboat Branson Belle, America’s Most Entertaining Lake Adventure, cruises on March 7 to start the 2019 season, featuring specialty cruises and events, plus fireworks on select days. 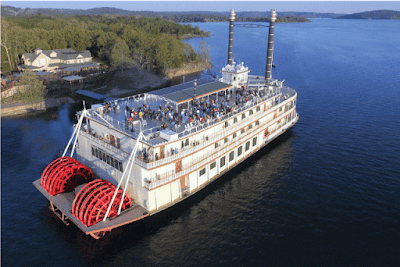 All cruises offer a unique experience aboard the 700-passenger, historically-inspired paddle-wheeler, with multi-level decks for viewing scenic Table Rock Lake in Branson, Missouri. New for 2019, fireworks cap the evening cruises during spring break on March 15–16 and 22–23. Inside, in a dining theater that spans three stories, the ship’s performers deliver on the promise of “most entertaining” with new songs, dances and comedy in a variety show featured on noon and dinner cruises. 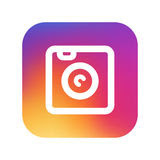 Music genres include classic favorites like Elvis hits; ‘70s and ‘80s classic rock from artists such as the Eagles, Journey and Fleetwood Mac; and movie soundtrack hits from Grease, Footloose, and even Star Wars. The show also features the Deckhands dancers, award-winning comedy and magic, and a live band. BRANSON, Mo. — JUNE 21, 2018 — Dynamic adventure facility Fritz’s Adventure opened the nation’s first Aerodium Outdoor Flying Adventure. The newest addition to its multidimensional adventure facility, Fritz’s vertical, outdoor wind tunnel flight experience allows visitors to enjoy the thrill and challenge of skydiving in a safe, controlled environment. Fritz’s Aerodium Outdoor Flying Adventure opens as a seasonal offering, with advance reservations available through the fall. 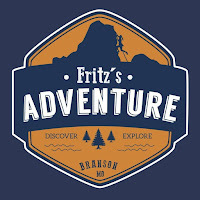 Fritz’s Adventure offers two- and three-flight packages, each with a 40-minute flight experience which includes a stunt demonstration, flight school, safety equipment and a formal flight lesson, and actual flight time. The vertical, open-air wind tunnel generates winds upwards of 140 miles per hour, allowing guests to fly under instructor supervision. The attraction is open to visitors ages four and up, with no previous experience required. (Branson, MO April 2018) Bringing the unique and extraordinary to the stages of Silver Dollar City, The Festival Of Wonder opens April 11 at the 1880s theme park with larger-than-life performances and acts of curiosity. 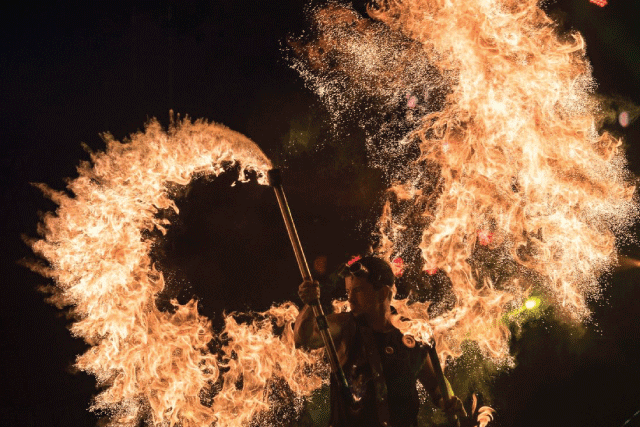 Designed as “A Most Amazing Entertainment Experience,” the festival features performances that are as unexpected as they are entertaining, from a harp that spans the entire length of a theater to athletes performing flips and flying stunts on pogo sticks. 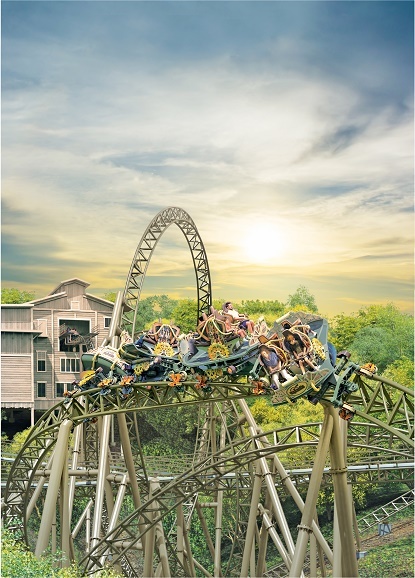 Silver Dollar City announces the World’s Fastest, Steepest and Tallest Complete-Circuit Spinning Roller Coaster with the spring 2018 debut of Time Traveler. Following months of speculation and extreme interest radiating within the amusement industry and from coaster enthusiasts around the globe, the internationally-awarded 1880s-style theme park will make history with this custom-designed, custom-engineered attraction that introduces a new generation of thrill coasters for families to enjoy. (Branson, MO) Construction is almost complete in Branson, Missouri on the area’s newest attraction, Bigfoot on the Strip™. 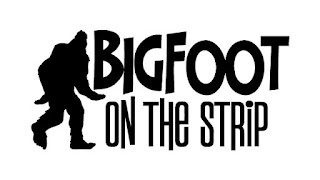 Bigfoot on the Strip™, a $10 million project located at 3608 W. HWY 76, offers a variety of attractions, all themed around Bigfoot (as in Sasquatch) and designed to appeal to all ages and abilities. The Bigfoot themed project features both indoor and outdoor activities, a food truck dining park, a large outdoor patio, indoor and outdoor party spaces, and a visitor center. BRANSON, MO. 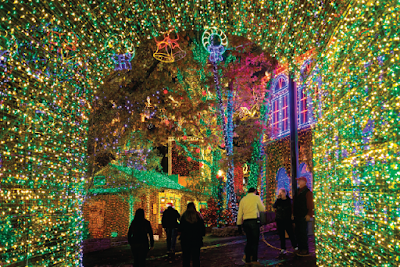 – The all-new Festival of Wonder in April, a new summer concert series and a big new Christmas expansion top the lineup for Silver Dollar City’s 2017 season in Branson, Mo., designated the Year of Food and Crafts. Come celebrate the art of American fine craftsmanship with new handcrafted treasures, new signature dining experiences with bold, innovative flavors and over 200 new specialty foods throughout the season. The new Festival of Wonder opens April 6 with amazing acts of curiosity and larger-than-life performances, all billed as “A Most Amazing Entertainment Experience.” Featuring the world’s largest playable stringed instrument, the Earth Harp Collective has strings stretched the length of Red Gold Heritage Hall, vibrating above the heads of the audience as it plays, creating a multi-faceted music experience. 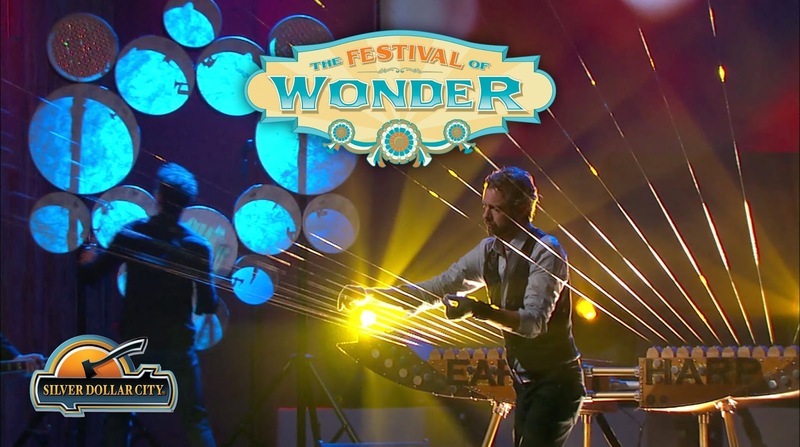 The Earth Harp is just one of the show’s beyond-believable instruments from visionary instrument creator William Close, an America’s Got Talent finalist. The festival also features the Flamenco Kings, seven brothers whose stunning performances are a fusion of flamenco, tap, martial arts and acrobatics; Balancing Wonders, presenting gravity-defying performers in an extraordinary balancing show; plus Speed Painter Dan Dunn, glass harp music and incredible wind instruments. New foods for the Festival of Wonder take an outrageous turn, including Curious Kabobs with shark or alligator on a stick, Fry Breads from Cajun Shrimp to Nutella S’mores, the World of Bacon with Bacon Cannoli and Chocolate Covered Bacon, new Bodacious Brownies and Blended Beverages. The festival runs April 6-30. In May, the popular festival Bluegrass & BBQ brings in top musicians, including a special concert with Ricky Skaggs and Kentucky Thunder. Skaggs, winner of 14 Grammy Awards, 8 CMA Awards, 11 IBMA Awards and 2 Dove Awards, headlines Memorial Weekend with a concert on May 28. 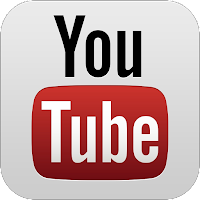 Also among the festival’s top performers are Rhonda Vincent & the Rage, Doyle Lawson & Quicksilver, Flatt Lonesome, The Gibson Brothers and The Grascals. A huge new BBQ Pitmaster Courtyard offers savory barbecue feasting, with new foods including layered Barbecue Sundaes, a “Ribs Spectacular,” grilled corn in flavors from Bacon Jalapeno to Mexican, and Mason Jar Desserts. Bluegrass & BBQ runs May 4-29. June brings a new Echo Hollow Summer Concert Series, presenting concert fun from the ’70s, ’80s and ’90s with performances by Poco, Rare Earth, The Spinners, The Lovin’ Spoonful and local favorite ‘80s cover band Members Only, opening with Jason Pritchett, a top 5 finalist on America’s Got Talent. Concerts are June 2-4 and 9-11. Also, the family-focused festival Star-Spangled Summer, featuring the Harlem Globetrotters in the final year of The Globetrotter Experience show and the antics of Chris Perondi’s Stunt Dogs, June 3 through July 16. First-ever Silver Dollar City Food Days lead into and top off summer events, May 30 through June 9 and July 31 until August 20. Funnel cakes, cinnamon rolls, kettle corn and milkshakes debut wild new flavors, while summer foods take family favorites like hot dogs to new levels with layers of flavors. The park’s night ride event Moonlight Madness July 15-30 brings back ride-in-the-dark fun and evening street dances, plus new Extreme Food Challenges where families can tackle foods such as the 20-inch Goliath Pizza, 2-lb. hamburgers and 18 in. funnel cakes. The top names in Southern Gospel fill the stages for Southern Gospel Picnic, August 24 through September 4, including Ernie Haase & Signature Sound, Dove Award winners The Booth Brothers and Jeff & Sheri Easter, Greater Vision, The Hoppers, Legacy Five and The Isaacs. 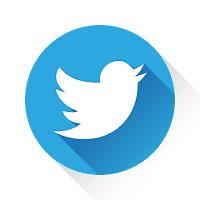 The food spotlight is on Southern cuisine, as Southern cooking expert and food blogger Christy Jordan presents all-new recipes in The House of Chicken & Fixin’s. Concerts featuring country music icons are presented each evening during Silver Dollar City’s Country Music Weekend, September 8-10, and the National Crafts & Cowboy Festival features the nation’s finest craftsmen and authentic cowboys, September 13 through October 28. The festival presents the popular Wild West Show with trick riders, ropers and a world-champion Native American Hoop dancer; Western music, a barn dance, and 125 visiting craftsmen. The nation’s pioneer culinary heritage comes to life with a chuck wagon cookout and cowboy cuisine, including smoked brisket, ham and beans and hearty country comfort foods. An Old Time Christmas is brighter than ever, this year adding the new Christmas in Midtown with 1.5 million additional lights, for a total of 6.5 million lights. The festival presents ‘Rudolph’s Holly Jolly™ Christmas Light Parade’ led by the most famous reindeer of all, with musical lighted floats and dozens of costumed characters, plus two original musical productions: It’s A Wonderful Life and A Dickens’ Christmas Carol. Ranked as one of the world’s top holiday events, the park dazzles with the acclaimed 5-story special effects Christmas Tree and an encompassing light-and-sound show on the Square, plus new holiday foods, November 4 through December 30. Also new this year is a New Year’s Celebration December 31 and January 1. The Presley Family opened Branson’s first music theater on June 30th, 1967. In 2017 they will celebrate their 50th Anniversary in their original location. This is a truly amazing accomplishment in the entertainment industry, especially to be in the same location. Two original members of the show, Gary & Steve Presley still perform nightly in the show. There are now fourth generation Presleys performing in the show. The family originally performed in caves in the Ozarks before building their theater on Highway 76. Andy Williams Moon River Theatre opened its doors on May 1, 1992. Andy was the first non-country music performer to open a theatre in Branson. The theatre’s design reflects the beauty and environmental integrity of the surrounding Ozark Mountains. The 48,000-square-foot structure is set among 16 acres landscaped with rock formations, waterfalls and a stream. It is the only theatre ever to be featured in Architectural Digest. For the interior, it was Andy’s idea to create a beautiful auditorium for live performances along with a lobby area that had a museum-like atmosphere so that he could display pieces of art from his personal collection. Since his passing, Jimmy Osmond has taken over the theatre as a promise to his friend and mentor to keep the legacy alive. Andy Williams memorabilia is displayed throughout the theatre and a wide variety of entertainers grace the stage throughout the year, just as he envisioned. Titanic Museum Attraction, honoring James Cameron’s “TITANIC” in celebration of the iconic movie’s 20th anniversary, has a limited engagement new gallery to showcase many, never-before-seen elements from the movie – costumes, set pieces, props, signed scripts and more. March 12-June 13. Titanic Branson looks forward to “TITANIC” re-release in 2017 and to honoring its 20-year anniversary. Showboat Branson Belle gears up for an even bigger 2017 aboard the 700-passenger paddle-wheeler. An all-new show “Country On The Lake” adds a different genre of music as the noon complement to the popular evening variety show “Celebrate.” Designed as a concert cruise – featuring multi-talented rising country stars performing #1 hits from yesterday’s classic rock to country favorites of today, backed by a live band – it includes tributes to country stars of the ’90s with songs by Garth Brooks and Faith Hill, plus many classic, memorable songs. 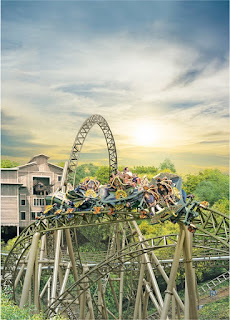 The Runaway Mountain Coaster is a thrill ride that uses the natural topography of the area to have an exciting user-controlled trip for an experience few will ever forget. Riders are seated in individual carts engineered to exacting safety standards. The carts are pulled to the top via a chain, similar to roller coasters. At the top of the mountain, carts are released to travel down the hill, winding in and out and around the hills for a fun and unique experience. Raiding the Country Vault opens mid-March at The Starlite Theatre. It brings chart-topping Nashville stars together with musicians who have played with Country music’s most iconic acts, performing a set list featuring the biggest hits of America’s most beloved music genre. The producers are planning to bring “Raiding the Rock Vault,” from Las Vegas, for select summer dates. 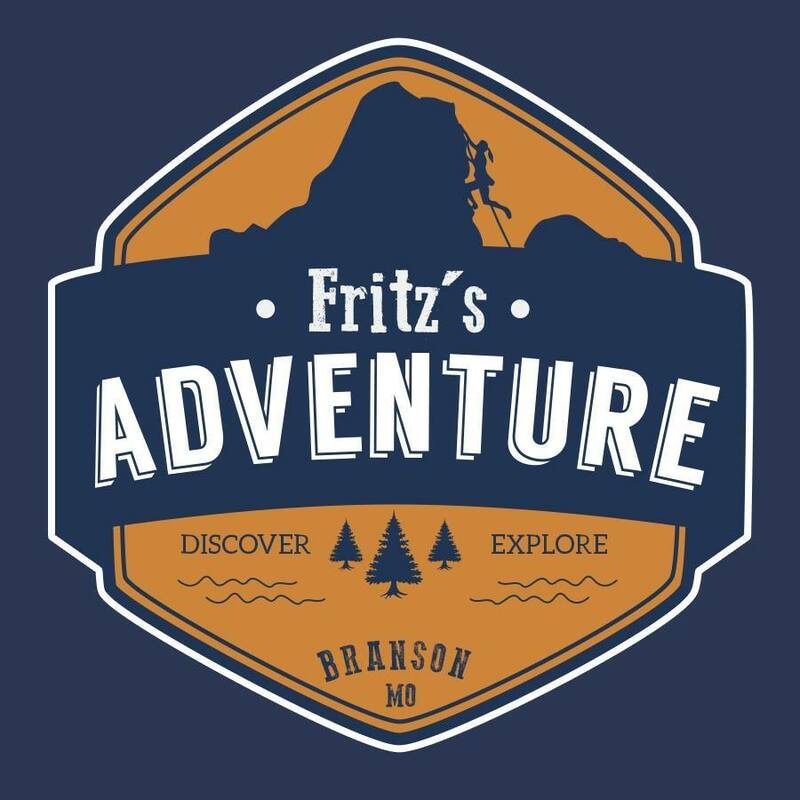 Fritz’s Adventure is a dynamic family attraction that brings the excitement and challenges of outdoor adventure into a multi-dimensional indoor environment. Experience three stories and 80,000 square feet where you can enjoy elements of the world around you that, anywhere else, would be prohibited or discouraged. All ages are encouraged to explore the family adventure together. Bigfoot on the Strip is the fifth attraction investment in Branson for the owners of Branson Zipline Canopy Tours, Parakeet Pete’s Waterfront Zipline, Parakeet Pete’s Steampunk Balloon and Fast Shot Shooting Gallery. The centerpiece of this $10 million attraction is a 200-foot free-fall tower. Two of the rides are extreme rides for serious thrill seekers, while the third is a calmer ride offering more of an Ozarks viewing experience. Bass Pro Shops founder and noted conservationist Johnny Morris has teamed up with golf icon Gary Player to create a world-class short course that will deliver an unparalleled experience for golfers. Winding through breathtaking rock formations and showcasing some of the most dramatic views in the Ozarks, Big Cedar Lodge will unveil its newest golf experience in the spring of 2017. The History of Fishing Museum is the largest collection of antique fishing lures, rods, reels, boats and motors entirely collected by one man and his wife. It is valued at more than $4 million. 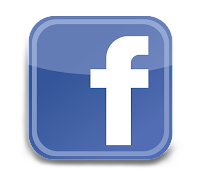 The first lure was bought when Karl White was eight years old. The lure is still in the collection today – almost 70 years later! A ride on Parakeet Pete’s Waterfront Zipline at Branson Landing, takes you to The Sky Deck on Mt. Branson with spectacular views of Lake Taneycomo, the entire Branson Landing and Historic Downtown. You can “Zip and Sip” or plan your own private party with live music, catering and cocktails. Who doesn’t love a beautiful Christmas tree, radiant day and night with the warmth and joy of the season? Now the already amazing holiday season in Branson is even better as the community strives to become “America’s Christmas Tree Town” like no other. Many cities have a single iconic Christmas tree each year. Branson has the largest variety of the most wonderful and unique Christmas trees found anywhere! Discover over 100 dazzling trees – in addition to the music shows, shopping and festive family fun – making Branson an even more tree-mendous holiday destination than ever before! The B-29/B-24 Squadron of the Commemorative Air Force will bring to Branson the aircraft, pilots and crews from over 70 CAF units across the United States to create the AirPower Squadron – an ever-changing assortment of military aircraft touring together to bring the sights, sounds and smells of World War II aviation history to audiences across the nation. The AirPower Squadron always includes at least one of the two rarest World War II bombers in the world – FIFI, the most famous, flying Boeing and B-29 Superfortress and Diamond Lil, an equally rare B-24 Liberator. Aircraft accompanying the B-29 or B-24 will include other World War II aircraft such as the P-51 Mustang, the B-17 Flying Fortress and the B-25 Mitchell, along with an assortment of fighters, trainers and liaison aircraft. September 14-17 at the Branson Airport (BKG). 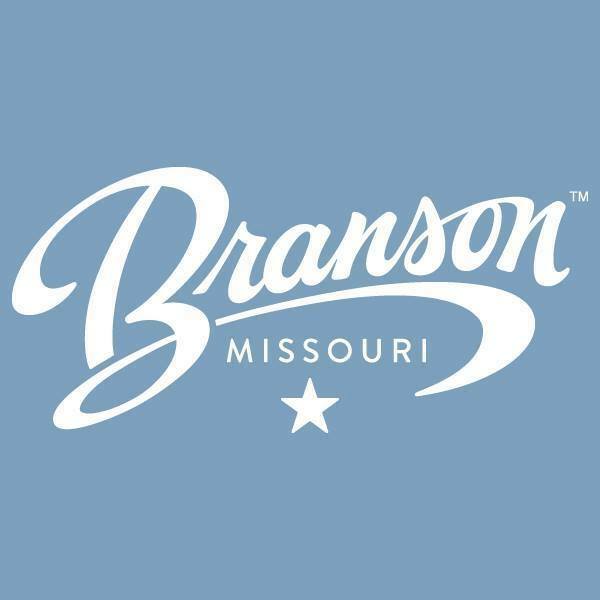 Branson Forward is a dream of a bigger, brighter, more amazing Branson experience than ever before with spacious walkways, landscaping, park benches, interesting landmarks, and amazing spaces for visitors to explore and enjoy. 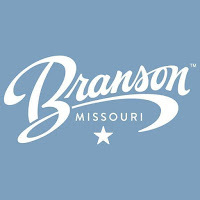 Over the next seven years, Branson plans to invest more than $100 million and transform five miles of Highway 76 into a more vibrant, dynamic, fun, attractive and interactive entertainment corridor certain to delight and amaze the next generation of Branson visitors. All this is being implemented with absolute minimum disruption to the non-stop fun and entertainment opportunities jam-packed along our city’s famous corridor. Hatfield & McCoy Dinner Feud is coming soon to the entertainment district in Branson. It’s Feudin’ Feastin’ Family Fun at The Hatfield & McCoy Dinner Show! Become part of the longest-running feud in history and help the Hatfields and McCoys try to settle their differences in a hilarious dance and comedy revue mountain style while enjoying a full Southern Homestyle Feast. Opens 2018.